The New Kids on the Block just released their latest song "Boys In The Band (Boy Band Anthem)". It's now on iTunes and you can listen to it by playing the video below! Jonathan Knight along with David Bromstad, Alison Victoria (hosts of other house-flipping shows on HGTV) were interviewed by AV/TV club about the challenges of flipping houses on a tight timeframe, growing up helping his dad, how he started flipping houses and more. Watch the video below! New Kids on the Block will be performing on Good Morning America on March 8th to celebrate the release of the 30th Anniversary edition of the "Hangin' Tough". 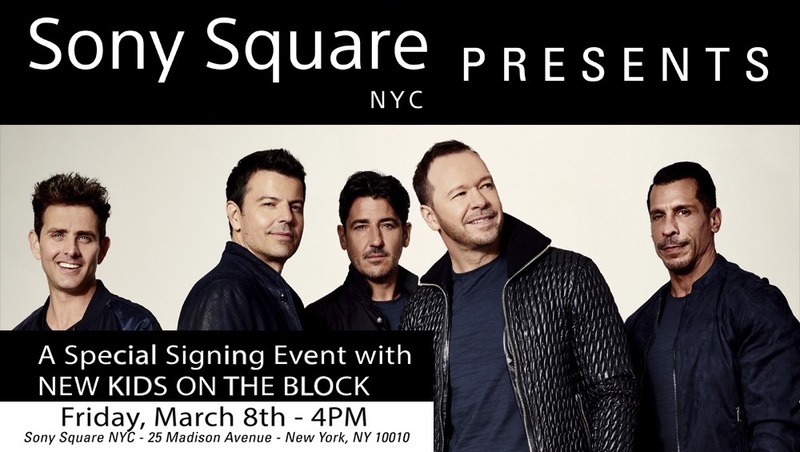 To celebrate the release of Hangin' Tough 30th Anniversary edition, NKOTB will be appearing at Sony Square in New York City on Friday, March 8! You can pick up your copy and get it signed by Donnie, Danny, Jordan, Joey & Jonathan. 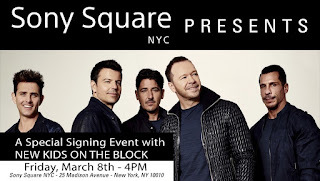 Wristbands can only be obtained by purchasing NKOTB's Hangin' Tough 30th Anniversary Edition at Sony Square NYC, starting on Friday, March 8 @ 11 a.m.
Wristbands are limited — first come, first served. No posed photos/selfies allowed with the band. If you have a wristband and purchased multiple copies of Hangin' Tough 30th Anniversary Edition, the band will sign the respective amount of booklets (no personalization). Sony Square NYC will only accept credit card payment. Donnie was on the Two Cups of Joe podcast with Joey Fatone and Joe Mulvihill (his manager) to talk about The Masked Singer and more. ET sat down with Donnie on Monday where he talked about 'Masked Singer' rumors. He also talks about the upcoming show 'Very Scary People,' a six-episode HLN true crime series starting on March 17. 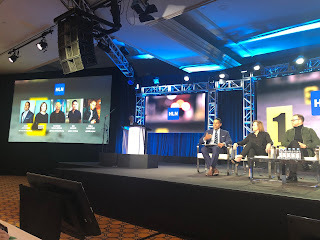 Donnie Wahlberg to star in new TV show "Very Scary People"
Scenes from TCA in Pasadena CA where we announced my new HLN TV crime show "Very Scary People" with the great Nancy Duffy (my fellow executive producer) and Joey Jackson Esq! Premieres March 17th 9/8c on HLN TV #Scary. Donnie was on Live with Kelly and Ryan this morning. He talked about why he chose to watch the Super Bowl from home with his son, meeting Jenny McCarthy for the first time, the 9th season of Blue Bloods and how the show's dinner scenes tie the cast together. Watch the clip below! #BodyGuard The music video( directed by @brian_babs_babineau )and song comes out Friday 2/8 @jessiechrismusic commitment to helping kids being bullied inspired me to write Bodyguard. Now the wait is almost over and we get to share #BodyGuard with the #bhfamily and beyond! Also check out this behind the scenes look at them recording the song. Joey was recently interviewed on the Sway's Universe Sirius XM show to talk about starring in Waitress. They also talk about New Edition, groupie love, Backstreet Boys versus NSync and more. Check out the video below. Joey and his Waitress co-star Eddie Jemison were interviewed by Broadway World. He talks about how his sarcasm off-stage affects how he portrays his character - Dr. Pomatter, performing Sara Bareilles' songs and more. We've received so many inquiries about the next NKOTB Cruise. Including many questions about whether there will even be another cruise. Rest assured — NKOTB Cruise XI will be happening. In fact, we cannot wait to set sail with you again! That said, we've long wanted to find a way to return the cruise to its original Spring-time period. Since we will already be spending this coming Spring and Summer hanging out with all of you on the Mixtape Tour, we've decided that this is the perfect opportunity to begin the process of making plans to give everyone a reset, and prepare to set sail on our next cruise in the Spring of 2020. We know you all like to plan ahead and so do we! This will give us all ample time to prep for what we all hope will be the greatest cruise ever and in the most optimum weather!